Cloud computing has totally changed the way applications are hosted and accessed by businesses worldwide. There are some key aspects to the way cloud computing has changed the business computing landscape and as , we need to know what that means for our roles, whether that’s using a or launching an app for a customer. Here’s the brief: First, by shifting onsite computing infrastructure to a remote location, the way project teams, your clients, and customers access infrastructure and applications have completely changed. Second, the size of local project teams has greatly reduced and the skillsets of those who need to stay onsite have changed. Third, because applications sitting in the cloud are maintained by a vendor, the processes related to developing, managing and setting up the applications have changed and projects are including tasks about those as well. Until the arrival of the cloud, the environment faced by the average project manager looked something like this: Servers are hosted within the company, either on premises or at external premises. Client-side desktops and laptops are distributed across the company’s offices and are managed by a large internal IT staff. Most development and maintenance of IT systems is carried out by developers staffed by a large internal pool of developers. There are some contractors involved, but the majority of staff are full-time employees. Sound familiar? If you’ve been working as a project manager for more than five or six years then it will. Now, let us look at how the project manager’s role looks when the business is using an external vendor to develop and host the application at their cloud site. The coordination overhead increases as you still have to take care of oversight responsibilities ranging from estimation through testing, but with external vendor personnel. Many more meetings are needed. Coordination with business users still happens internally for user acceptance testing but systems integration testing is done by external teams most often. It looks even more different when the business is only using an application hosted by an external vendor at the cloud site. There’s no requirement for any IT staffing on the client side at all and it’s easier to get issues resolved because the communication and ownership are all in one place. There are also opportunities for good support that come from scale. For example, if we consider Salesforce , the same instance of the software, on the same architecture is serving millions of customers via the internet. Any issues or operational defects would be fixed rapidly by Salesforce because it’s part of their business model. The issue debugging process also gets simplified because it happens at the remote site. This simplifies the role of the project manager. There are several ways in which the cloud is changing your workspace. The most impactful change that cloud brings is that most of your existing on-site infrastructure loses importance. In the pre-cloud era, all your applications were hosted on onsite servers and data centers. Once your project teams shift to the cloud, the software starts being served from a remote site by a vendor. What this means is that your office space and data center space requirements for projects greatly reduce. In terms of personnel, the arrival of cloud changes the mix of personnel and the size of employee IT staff teams needed to support whatever app your project is delivering. Before cloud computing was a serious option you would have needed a significant number of application developers, technical leads and to carry out the enhancements, bug fixes and development needed as part of your project. Once you’ve shifted to cloud apps, your requirement for these sorts of team members goes down. Third, in the pre-cloud era, you would have needed internal IT staff of significant size to keep your applications running. As a project manager, you would have included these support people as one of the because planning your handover is important. Once the cloud arrives in your company, you can downsize your support teams and have existing personnel reskilled and mapped to other positions. You’ll still have to include on your , but you’ll be doing it differently and it probably won’t take as much time. On the other hand, you will need more technical architects and business analysts on your project team (and in the business more generally) than before. These experts will be able to coordinate with the vendor personnel to effectively scope requirements. 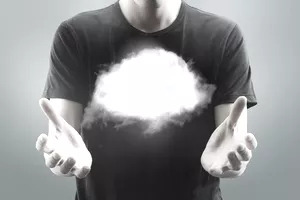 What Skills Does Cloud Computing Demand From Project Managers? 1. Advanced Financial and Costing Skills: Project managers will be required to deal with environments which are going to be a mix of applications hosted on onsite servers and those hosted at cloud sites. When a new application is to be developed, project managers would be called upon to perform costing and ROI analysis for both options. This requires knowledge of costing for cloud-based environments and expertise at . 2. Deeper Knowledge of Enterprise Architecture: This is again due to the fact that the architectural landscape for applications gets more complicated after the move to the cloud. A deeper knowledge of enterprise architecture would be required in order to ensure that newer applications get developed with the correct business and technical requirements in a manner that they work seamlessly with the existing applications hosted in the cloud and onsite. 3. Vendor and Contract Negotiation: While project managers have always needed to have contract negotiation skills, the move to cloud requires managers to employ vendor and contract negotiation skills more often. Being a project manager on a cloud-based project is a great learning opportunity and a fantastic way to expand your skills!